Just announced, the 2018 UTS Learning and Teaching Awards and Citations winners. The awards recognise the importance of learning and teaching for both undergraduate and postgraduate students within the framework of the UTS model of global practice-oriented education. Aligned with the national teaching and learning awards and citations schemes, many successful applicants have gone on to win national Citations or Teaching Awards. A big congratulations to all successful recipients, listed below. If you’re on Twitter, please join us in congratulating our winners online. 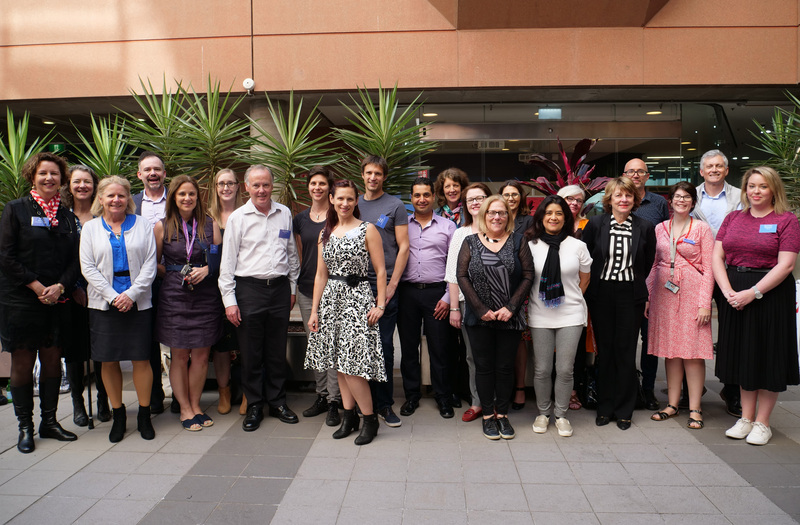 Pictured: Some of the award and citation recipients after the announcement at the UTS Teaching and Learning Forum. Building science students’ self-confidence and employability skills through collaborative career development learning. Scaling support for individual learning journeys in a large Masters capstone to motivate student success. Embedding learning activities in the Biomedical science course that require students to think independently, use their initiative and to be creative. Leading learning.futures approaches to data literacy. For exponential learning and better employability, finance and economics curricula are restructured to enhance students’ skills by thinking critically and working collaboratively using real-world simulations. Bringing theory to life: How a difficult subject became an authentic work-ready opportunity. Try, try and try again: a continuous, collective approach to doing learning.futures. The Software Development Studio: conception, realisation and a demonstrable educational success. Building innovative practices in teaching and learning for preservice high school English teachers. On Country Learning: The integration of Indigenous cultural competencies and professional capabilities for second-year Interior Architecture students in Spatial Agency Design Studios. We’ll celebrate all recipients at the UTS Vice-Chancellor’s Learning and Teaching Ceremony next year on Monday 25 March 2019, commencing at 4 pm. The evening will feature a keynote presentation and all award winners will showcase a short summary of their work. All award winners, their families and friends, and all interested staff are invited to join, so please save the date. Details and registration to come early 2019. So proud. Way to go sis. Thanks to UTS who aknowledges teachers’ effort and commitment. Want to read more like this? Sign up to our newsletter!